My current readings have been a mix of deepening my knowledge of the history of South Eastern Europe, especially Portugal, and a biography of Honen, the Tendai priest who launched the Pure Land School (Jodo-shu) in Japan. Coincidentally, they overlap in time. Honen lived between 1133 and 1212 CE, and the period I am at in my study is the transition from Moorish dominance to the early formation of the state called 'Portu-Cale' which occurred in the late 1100's as well. What I found curiously coincidental was that both the mainstream Buddhists in Japan (primarily Tendai) and the King, as head of Catholicism in the new Portuguese state sought the same validation. In Japan, the hierarchy on Mt. Hiei, had enjoyed primacy in the emperor's court for centuries. They had established a kind of agreement whereby they were left alone to preach salvation as long as they did not interfere in state matters. In Europe, the new Portuguese king sought similar approval for his realm through the Pope in Rome. In Japan, the monks of Mt. Hiei stuck by this agreement and, when Honen started to win over more and more converts to his practice style, a style which effectively undercut monastic monopoly of faith, they arranged for Honen to be exiled. The Portuguese king needed to link his feudal tax system to a regular donation scheme to Rome, thus securing approval and support for his kingdom, which existed in a region of a dozen or more other small-scale kingdoms. Its interesting how religious movements have to negotiate this church-state boundary. Contrastingly, many Islamic states and Tibet solved the issue by assigning state power to the clergy. As we well know this can be a mixed solution too. It gives us the Dalai Lama but also the ayatollahs of Iran and figures like those scheming priests in 16th century Europe. Sometimes a new book can be an introduction to the landscape, a summary of familiar material, a personal scan on a topic or some other “good reads”. And then there are books like this. Toward A Contemporary Understanding of Pure Land Buddhism is subtitled Creating a Shin Buddhist Theology in a Religiously Plural World, and is edited by Dennis Hirota, a Professor of Asian Studies at Chikushi Jogakuen University in Japan. He is a brilliant writer on Pure Land in his own right, a world authority on Shinran. This book is a very engaging format in that it presents a set of three “contemporary interpretations” of Pure Land, by Hirota and two other equally erudite Pure Land academics. Then follows a set of commentaries by two giants of contemporary western religious thought, George Kaufman, (God-Mystery-Diversity: Christian Theology in a Pluralistic World ) and John B Cobb Jr. ( Beyond Dialogue: Toward a Mutual Transformation of Christianity and Buddhism) The book concludes with a response to those two by the three opening writers. The initial three chapters offer three separate approaches to the Pure Land path, which the authors call the hermeneutical, the process and the buddhological. The first is a familiar approach which centres on a coherent understanding of oneself and one's place in the world. The second, Process Theology, is relatively new and comes from recent Christian thought, notably the writings of people like John Cobb Jr. The final piece introduces what it calls a “buddhological” approach, that is using the language and concepts of esoteric Buddhist writing to explain Pure Land practice, especially mandala visualization. What follows are the back and forth commentary of the five writers. There is insufficient space here for any kind of expanded remarks on this book. After my first read-through, I have to confess there is so much to consider and examine that I probably have little to say at this point. I found this title most provocative with its underlying theme of how we are to express Pure Land practice in addressing contemporary concerns. All note that Pure Land has succeeded in providing a potent and profound theory and practice which explains the universe and our means to salvation. It has not similarly provided guidance for everyday life. It would seem that this was not a concern for teachers like Shinran. This book is far from an introduction to Pure Land. Those new to it are better of with Suzuki's Buddha of Infinite Lightor Unno's River of Fire, River of Water. This book will take us far beyond those opening doors. I pulled my copy of the collected poetry and writing of Matsuo Basho off the bookshelf recently and started to re-read it. This time I approached it a new way. Basho is probably the greatest poet of the Japanese haiku style, which is characterized by a delightful and ironic styles compacted into just over a dozen syllables in a three stanza structure. Some call him the Japanese Thoreau because, in addition to being the acknowledged master of this poetic form, he exemplified a peripatetic lifestyle that forms the backdrop of his life and work. His poetry emerges from the travels he takes back and forth across the Japanese landscape in the middle of the 1600's. 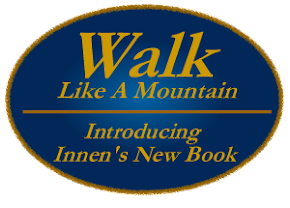 Alone, accompanied by younger poets, on foot or on horseback, he visits shrines, old friends and sites of rare natural beauty. I had read through his poems and travelogues several times before, but this time I decided to follow them with maps and pictures. I kept my tablet open as I read and whenever he mentions where he is, I tracked it on the map and photo software. Of course the landscape is radically different from his experience. Now there are skyscrapers, power lines and paved multi-lane freeways all across the landscape. Nevertheless, many of the natural sites and temples have changed little, so I can view something of what inspired his poems. 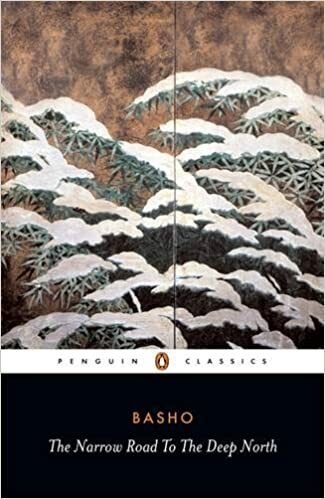 Basho may have been a Buddhist priest or at least presented himself as one, and his style has deeply influenced the aesthetic and subject matter of later Zen poetry. From the Dharma perspective the quality of feelings are indicators of state of mind and images of right/wrong and burden/relief point to what is happening in your mind. Such mental activity points us to the fundamental orientation we have to our lives. In his first-ever talk, the Buddha said “I come to teach the truth of suffering and its relief”, so, if you feel some relief, then the presentation of Dharma has resonated with something in you. In essence, what the Buddha taught was we are not (spoiler alert!) the centre of the universe. OMG! What he proposed is that we are located in an incomprehensible network of cause-and-effect relationships (for future reading, this is called pratitya samutpada, or conditioned arising). Our Awakening is to understand that location, to understand its momentum or purpose and to direct our lives to it. The amount of control you can experience is determined by how you understand who this “I” to be. Q. .. I've been in a canoe on rapid waters and I appreciate the challenge of it. A. It seems to me that the only place we have much choice or control is how we lean towards or away from wholesome thoughts, intentions and actions. The lure and appeal of self-desires is potent, so, yes, it takes effort and determination. Q. However, it also makes me sort of disheartened to think that I can't have an effective role in changing things I wish to see differently, particularly the suffering of others. But is that not a major intention - relief of suffering? A. Quite the contrary, you have a decisive part to play in the relief of dukkha. You are not a passive receptor, nor are you just a cog in a wheel. The understanding of our true nature as children of the Buddha is also our awareness that we can express every breath and action for the relief of suffering beings. Once we start to see that responsibility and accept that, then we easily trim off all the wasted effort we make to protect the ego, to hide from truth, pain and maturity and to delude ourselves that we can live forever in lives of self-indulgence. Instead of clinging and grasping, life activities become rich with purpose and focus. What changes is the knowledge that the context of our every breath is the boundary-less expanse of the Buddha's loving kindness and compassion. We come to find the canoe is capsized and we swim in an ocean of compassion. Q. And if we are unwholesome, do we not experience dukkha? So in that way do we not have some form of control? A. Yes, unwholesome action (and thought and intention) are causes of dukkha. Always remember dukkha is not something limited to personal experience. The Buddha's first teaching was “sarvam dukkham” - meaning all this is incapable of providing satisfaction. He points to our identification of who we are as being located in the endless cycle of birth and death (that cycle of conditioned arising mentioned above) as the the reason we feel empty or lacking. Dukkha is not ours, it is the flavour of human experience. This question of choice and control is not entirely clear to me. I know it is different from the current Western obsession with choice/control/autonomy/self. What I understand so far, and from my limited perspective of what is known as Pure Land teaching, is that choice is a perception of the presence of the liberative impulse of the Buddhas. There is no 'me' and even to the extent that there seems to be, that 'me' relies on the power of the Buddhas to direct 'me' to awareness. Q. At the same time, though, there seems to be a certain level of "letting go" that must need to happen in order to focus our intentions on our movement with the momentum as opposed to working towards change. A. The momentum is always about change anyway. The second teaching of the Buddha is anicca, impermanence. The critical detail is that it is not someone making change happen. Change is the form of reality. It is directed at openness, compassion and thorough self-awareness. What we can do is align ourselves with that momentum of change (i.e. wholesome activity) or struggle to maintain our deluded sense of individual autonomy (i.e. un-wholesome activity, that which generates more dukkha). The letting go is not abandoning a commitment to change, but of realizing that we are not isolated, individually-willed selves but are part of the compassionate activity of the Buddhas.